It is extremely difficult to suggest possible courses of action from afar; yet sometimes, the ability to bring the experience of other localities and technological challenges to bear on a problem may be helpful. In this spirit, we put forward a suggestion in the hope that it might be considered by those on site who are struggling with the very difficult and complex effort to bring seven major sources of radioactivity under control (three reactors and four spent fuel pools). The suggestions presented here may or may not be suitable courses of action. However, they may be worthy of consideration after which the authorities may decide whether they merit implementation or suggest alternative approaches. It should be understood explicitly, that we are not recommending that the steps outlined below be implemented, since we are not in a position to evaluate the various possible safety and feasibility issues associated with them. 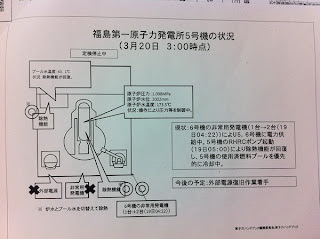 The responsibility for making and implementing decisions belongs fully and solely to the Japanese government’s safety authorities and the Tokyo Electric Power Company. Punching holes into the roof of the turbine buildings (with due consideration to the hydrogen that may be in them) could provide an initial amount of light, which would enable much more work to be done in the 15 minutes to which workers are limited under the current radiation conditions (according to news reports). At that point, explosion-proof lights using small external generators could also be introduced into the buildings through the holes in the roof to further facilitate work. evacuate Any increased radioactivity in the atmosphere outside the turbine building is likely to be very minor compared to the radioactivity on site already, and puncturing the roof will reduce radiation doses greatly once the leakage onto the site is stopped and the water in the building evacuated. Any increased radiation will also likely be temporary since this method will facilitate the removal of water in the building provided the pumping is maintained while the source of the leak is being repaired (if possible). It is suggested that an empty oil tanker of sufficient size to accommodate the accumulated water and that anticipated to leak into the turbine buildings in the coming period be brought as close to the site as possible. (Alternatively, two tankers may provide a more flexible arrangement, since one could carry water away for unloading into tanks elsewhere in Japan.) 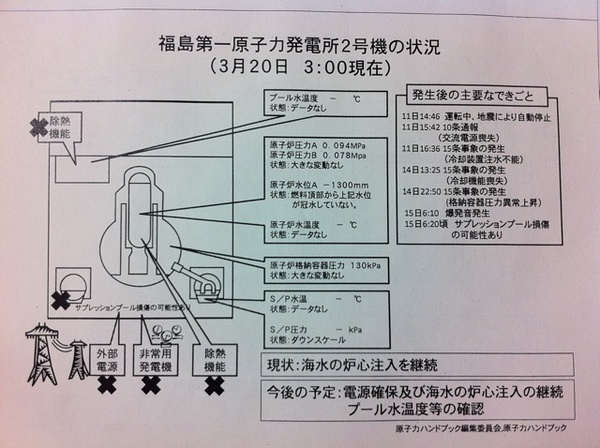 The radioactive water can be pumped into the tanker, which can serve as a floating tank. Fresh water to cool the reactors and spent fuel pools is already being brought to site by U.S. barges. This would be the reverse of the process. Of course, it is recognized that the vessel would probably have to be written off, but in the scheme of damages that have already occurred and that may occur if the regular cooling system is not made functional soon, it would seem that this may not a major consideration. Since the water is extremely radioactive, pumping out water and putting it in a ship’s hold (like putting it in a tank on land) will involve some hazards that the authorities should evaluate and take the necessary precautions. For instance, there could be residual radioactive noble gases in the water; it is established that there are volatile radionuclides, notably iodine-131. Other iodine isotopes may also be present. Appropriate arrangements to protect workers pumping the water and those managing the filling of the holds on board, such as venting of the holds, should be made. Finally, given that the water contains a significant concentration of long-lived cesium-137, we stress that it should not be discharged into the ocean, into any other body of water, or onto land; neither should it be injected into the ground. It should be held in large tanks away from the site that are appropriately seismically qualified and checked regularly. The water should be held until all the short-lived radionuclides are decayed away so that the rest can be captured, for instance by ion exchange in resins, as is done with reactor primary water. It appears urgent to devise ways of lighting the turbine building at least by daylight and preferably also by electric explosion-proof lamps. 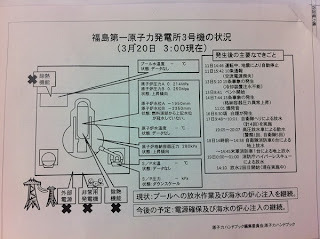 The suggestions above are for consideration and evaluation by the Japanese governmental authorities and by TEPCO. They are not recommendations for action, but could provide ideas that might be useful in an extremely difficult and dangerous situation; they may also be rejected if found unsafe or unsuitable for any reason. 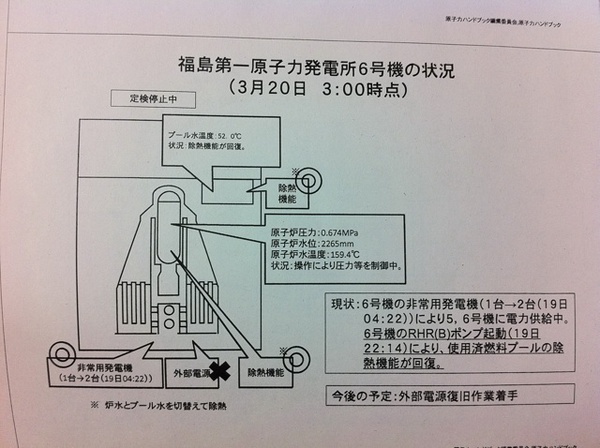 The responsibility for evaluation and implementation rests, of course, entirely with the Japanese governmental authorities and with TEPCO who may accept, reject, or modify them as appropriate. Our only desire is to be helpful at a very difficult time for the Japanese people and for the workers and managers who are trying their best to manage the unprecedented nuclear crisis at the Fukushima Daiichi plant. 1. This paper reviewed by Dr. Ferenc Dalnoki-Veress and Dr. Patricia Lewis. I am grateful for their helpful comments. 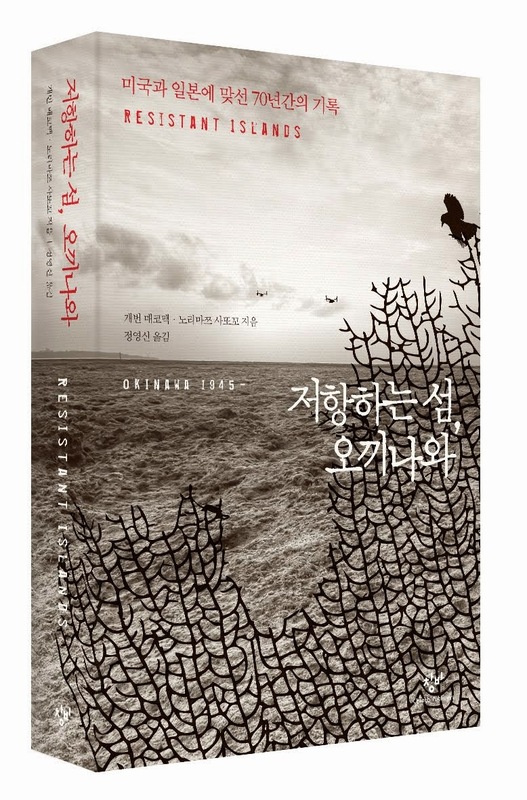 As the author, I alone take responsibility for its final contents and any deficiencies that remain. Combined cesium-134 (half-life: about 2 years) and cesium-137 (half life: about 30 years) releases from Fukushima are estimated at about half-a-million curies, about 10 percent of estimated Chernobyl cesium releases. 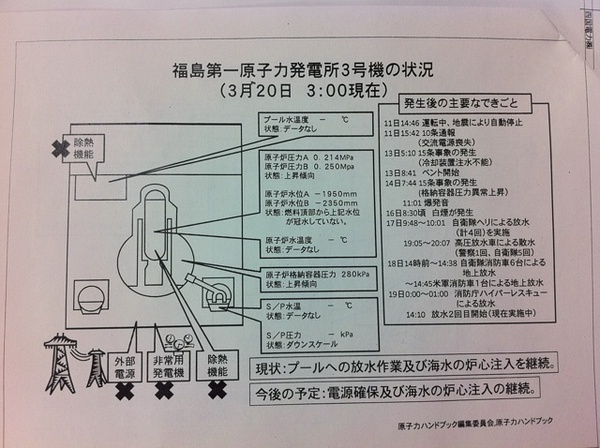 The TMI accident did not emit measurable amounts of radioactive cesium, according to the presidential commission that investigated the accident. The primary risk of concern with iodine-131 is thyroid cancer, with children more at risk than adults. A high enough intake of iodine-131 by children can also cause developmental problems and other thyroid diseases. Young girls are at greater risk than boys. Female infants have a risk of thyroid cancer 70 times greater than adult males for the same radiation exposure. Some iodine-131 deposits on land, including pastures. When contaminated grass is eaten by cows and goats, iodine-131 concentrates in milk. It has a half-life of about eight days, meaning that appreciable amounts will remain in the environment for a few months after large releases. Cesium-137 will take a few hundred years to decay to very low levels. Some cesium-137 from atmospheric testing in the 1950s and 1960s is still present in soil all over the world. It causes all types of radiogenic cancers since it distributes itself all over the body, like potassium. Cesium-137 contamination is the main reason that a huge exclusion zone (about 1,000 square miles) still needs to be maintained around Chernobyl. 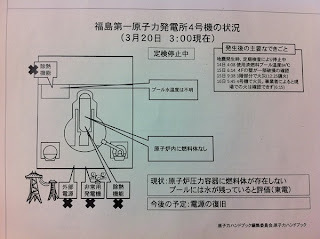 Last week, IEER noted that damages from severe spent fuel accidents in the U.S. could range from $900 million to $700 billion (http://www.ieer.org/comments/Daiichi-Fukushima-reactors_IEERstatement.pdf ). Vermont Yankee, for example, contains more spent fuel in its pool than all four stricken pools at the Fukushima Daiichi plant. Yet the Nuclear Regulatory Commission has not ordered any additional actions to protect this material. See below YouTube links for a 1995 U.K. documentary "Nuclear Ginza" that tells us about the realities of nuclear plant workers in Japan. It is bilingual (English and Japanese). 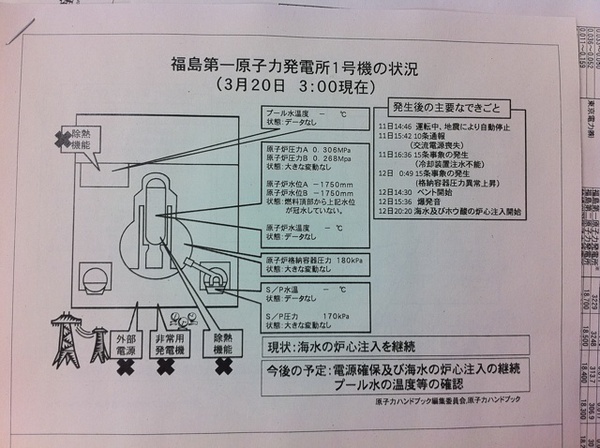 日本時間　３月２５日の朝６時台にこれを書いています。See below links for reactor update and radiation levels at differenct places in Tohoku and Kanto areas. which is taken in by the thyroid gland and can cause thyroid cancer. 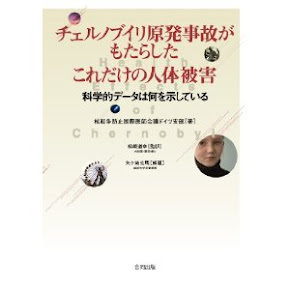 Dr. Yagasaki, physicist and professor emeritus of the University of Ryukyuus, advises those who are affected by Fukushima Nuclear Power Plant accidents, on how to minimize radiation exposure, particularly internal exposure. I offer my sincerest condolence and sympathy to those who were lost in the big Tohoku earthquake in Japan, their families and friends, and all who have been affected by the disaster of an unimaginable scale. Having family in Sendai and other parts of Japan, this has personally affected me and my family as well, and I will take a temporary break from maintaining this blog. Thank you for your understanding and I appreciate your continuous interest and support. I will continue to post short messages on Facebook and Twitter. My Twitter updates can be viewed on the right hand side of this blog too. 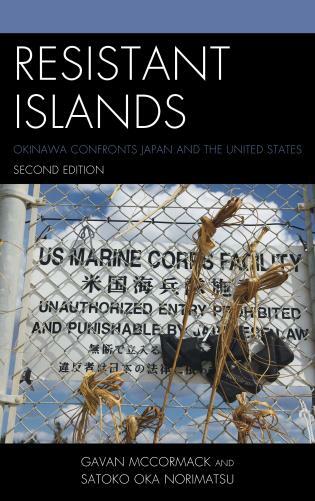 As exposure follows exposure since 2009, with the Mitsuyaku, Hatoyama, and now Maher revelations, the US-Japan-Okinawa relationship is revealed as never before. We now learn that the US Department of State’s Japan policy unit is headed by a man who is ignorant, abusive, and racist. That in itself is not new. Contempt for Japan has been common ever since General MacArthur referred to Japanese as “twelve-year old.” But it was commonly concealed by the warmth with which Japanese leaders who are compliant, performing essentially as poodles and saying “Yes” are feted in Washington. When Hatoyama in 2009 began to assert, however briefly and feebly, a distinctive Japanese national interest, and to talk of an equal relationship, however, that was intolerable. He was subjected to a barrage of contempt and abuse that would have been unimaginable towards any other country, enemies included. Much of Japan, however, then sided with Washington. In due course compliant Japanese leadership was reinstated under Kan and Maehara. They are accorded respect precisely because they have reverted to the established role of Japanese leaders: to say “Yes.” Respect is simply the other side of the coin of contempt. To Maher, Okinawa deserves special contempt because it is, or should be, the zokkoku (a client state) of a zokkoku, yet it persists in saying “No.” That he seems to find infuriating and his bureaucratic colleagues are presumably like-minded. By exposing so clearly the thinking of Washington’s Japan handlers, however, Maher performs an unexpected service. He opens a window onto thinking at elite policy levels in the Washington establishment and so makes it virtually inconceivable that the agreements for construction of the new base at Henoko or the helipads at Takae should ever proceed. He also makes us anticipate the release of the supposed 5,000 plus US embassy documents contained in the Wikileaks archive. How many other Mahers will turn up in those files? 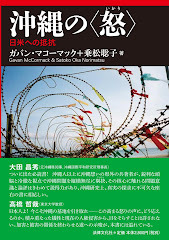 Gavan McCormack, author of Client State: Japan in the American Embrace, is Coordinator of Asia-Pacific Journal: Japan Focus, and Professor Emeritus at Australian National University. The United States has sacked Kevin Maher as head of the Japan affairs office of the State Department following his remarks that reportedly disparaged the people of Okinawa, while apologizing Thursday to the Japanese government over the matter. The U.S. Embassy in Tokyo announced Rust Deming, a former deputy chief of mission at the embassy, had replaced Maher and the appointment was effective immediately. Kurt Campbell, an assistant U.S. secretary of state who was in Japan to attend scheduled bilateral security talks, expressed his ‘‘deepest regrets’’ over the matter during a meeting with Japanese Foreign Minister Takeaki Matsumoto. Campbell also told Matsumoto of the dismissal of Maher, the embassy said. U.S. Ambassador to Japan John Roos plans to visit Okinawa to offer an apology over the matter, Campbell told Matsumoto. Maher, a former consul general in Okinawa, allegedly made a series of remarks including a description of people in the southern Japan prefecture as ‘‘masters of manipulation and extortion,’’ during a lecture at the department in December. The comments have stirred a controversy in Japan and especially angered residents of Okinawa. TOKYO, March 10 (Xinhua) -- The U.S. Embassy in Tokyo announced Thursday that the U.S. government has sacked Kevin Maher as head of the Japan affairs office of the State Department following derogatory remarks he made about the people of Okinawa. A former deputy chief of mission at the embassy, Rust Deming, will replace the abashed Maher, immediately in a bid to rebuild strained ties between the two countries, officials said. Following the uproar caused by Maher, leading to prefectural and city assemblies in Okinawa calling for Maher to step down, apologize and officially retract his comments, U.S. assistant secretary of state Kurt Campbell was dispatched to Tokyo. Campbell on Thursday offered a personal apology to the people of Okinawa and Japan and conveyed deep regret on Maher's behalf, stating that Maher's views in no way represent those of the U.S. government. In a meeting held with Japan's new Foreign Minister Takeaki Matsumoto on Thursday, Campbell said that U.S. Ambassador to Japan John Roos plans to visit Okinawa to offer an official apology to the people there in person. Local media reported that the people of Okinawa, Japan's southernmost prefecture, felt shocked, horrified and utterly ridiculed by Maher's remarks. The issue arose during a State Department lecture in the U.S. aimed at college students, during which Maher referred to the people of Okinawa as being "masters of manipulation and extortion. " He also referred to the people of Okinawa as "lazy and deceptive," drawing the ire of Japan's senior ministers and the Japanese population at large. The Okinawa prefectural assembly said that Maher's comments trampled on the feelings of the Okinawan people, ridiculing and insulting them and that the disparaging remarks were absolutely unforgivable. The assembly also said that Maher repeatedly made discriminatory remarks and acted discriminatorily during his time as consul general. Added to this, one of the students attending Maher's State Department lecture felt there were definitely racist undertones to the former U.S. consul general's remarks. During the lecture, Maher was quoted as saying: "Consensus building is important in Japanese culture. While the Japanese would call this 'consensus,' they mean'extortion' and use this culture of consensus as a means of extortion." "By pretending to seek consensus, people try to get as much money as possible," he said. He was also quoted as saying that Okinawan people are, "too lazy to grow goya" a traditional summer vegetable in the southern prefecture, according to official accounts. Maher, 56, served as the consul general in Okinawa from 2006 to 2009 after joining the State Department in 1981. His comments have riled the people of Okinawa who have suffered under the heavy burden of hosting U.S. military bases for 65-years after the war. TOKYO — A senior American official apologized on Wednesday for comments attributed to an American diplomat that stirred charges of racism. The official, Assistant Secretary of State Kurt M. Campbell, said he regretted misunderstandings caused by the diplomat’s reported remarks about the people of Okinawa, the island that is host to about half of the 50,000 American military personnel in Japan. The Japanese news media have reported that the head of the State Department’s office of Japan affairs, Kevin K. Maher, told American university students in December that the Okinawans were “masters of manipulation and distortion.” Mr. Maher, who previously served as consul general in Okinawa, has called the reports inaccurate and incomplete. It was unclear why the media reports emerged now. The United States Embassy said Thursday that Mr. Maher had been replaced, The Associated Press reported. Some Japanese officials also said the reported comments could further complicate efforts to relocate the Marine Corps Air Station Futenma to elsewhere on Okinawa, something sought by Washington but opposed by many Okinawans. Mr. Campbell, who is visiting Japan for two days of talks, said the reported comments did not reflect the stance of the United States government. He said he would apologize at every meeting during his visit. See previous posts on Kevin Maher's controversial remarks on Okinawa. On the morning of March 9th, four more municipalities in Okinawa - Nago City, Uruma City, Chatan Town, and Yomitan Village passed resolutions at their assemblies, asking Maher to rescind and apologize for his statement. Kurt Campbell, Assistant Secretary of State for East Asian and Pacific Affairs expressed a personal apology to reporters at an airport near Washington D.C. before he left for Japan for the 2 + 2 meeting (with Ministry of Defense and Ministry of Foreign Affairs) to be held on March 9 and 10 in Tokyo. The State Department spokesperson Phillip Crowley avoided clarifying whose apology it will be, at the March 8 daily press briefing. Below are English language articles by Ryukyu Shimpo, one of the two major Okinawan newspapers. 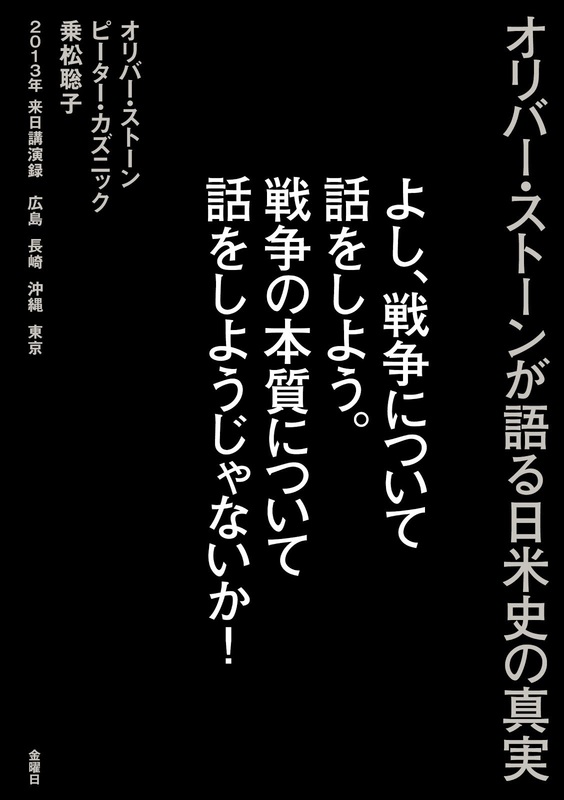 reads, "Derision and Insult to Okinawans." Diplomats carry heavy responsibilities. A state’s relations with its allies or neighboring countries could be instantly damaged; friendship and trust undermined, and the setting for consultations spoiled, all of which could occur because of a single statement made by a diplomat. The recent lecture delivered by Mr. Kevin Maher, the Director of the Office of Japanese Affairs at the U.S. State Department (also a former consul general in Okinawa), has provoked the ire of Okinawans in many quarters. In his remarks, sampled above, Mr. Maher repeatedly showed his contempt not only for Okinawans but also for Japanese culture and society, and laid bare the policy of giving precedence to the requirements of the U.S. military. This is a typical case in which a diplomat’s words and action end up causing serious repercussions. In the lecture delivered to an audience of American students at the U.S. State Department in December last year, Mr. Maher also stated that the Futenma Air Base was not particularly dangerous. He repeatedly expressed a similar view, without any hesitation, during his tenure as consul general. He now holds the key post of Director of the Office of Japanese Affairs at the State Department and is deeply involved in the relocation of Futenma Air Base used by the U.S. military. Despite this, if he does not take seriously the fact that both the U.S. and Japan have already admitted the dangers posed by the air base, it would shake the fundamental basis of the agreement between the two countries. Mr. Maher is in the position of handing up his opinions to Secretary of State Clinton. 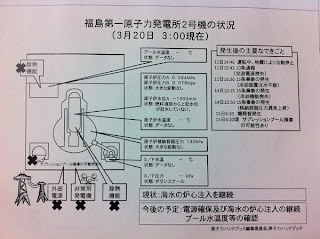 The matter is more serious because he has been an advocate of the relocation of the air base to Henoko in Nago. 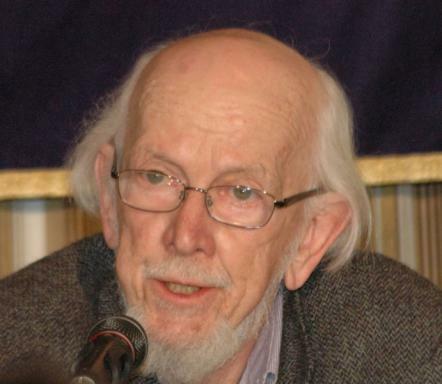 Mr. Maher’s speech is a reflection of the negative legacy of the Battle of Okinawa. 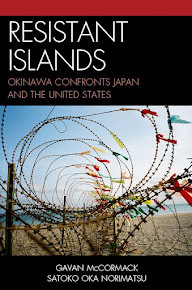 The occupier mentality, which claims that “America controls Okinawa, land won through the sacrifice of American blood,” is still alive, and largely projected onto the distorted views of Okinawa and Japan held by some U.S. government officials. Such a mentality is completely lacking in the diplomatic tradition that matters of concern among countries should be resolved by being based on mutual respect for history, culture, and national character. In fact, this is a quality essential in a diplomat. The occupier mentality throws into relief the attitude of complacency and unilateralism, which only takes into account America’s own interests. We Okinawans want to demand that the United States government take immediate measures to dismiss Mr. Maher who has exhibited strong biases against Okinawans and the Japanese. Although the American Embassy in Tokyo issued an unusual statement to say that Mr. Maher’s comments do not reflect the official views of the U.S. government, it is still not clear which part of his views really differ from those of his government, and thus the statement is not sufficient. If Washington does not take action against Mr. Maher, it only means it has accepted his views. 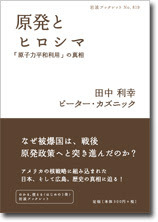 As in the case of the recent speech made by former Prime Minister Hatoyama, who said that the “deterrence capability” argument which he used last year was simply “an expedient,” the real nature of the problem this time will not be understood if it is treated simply as an individual instance of a slip of the tongue or lapse in his professionalism. Unintentional or not, Mr. Maher’s remarks should be seen as revealing the true opinions of the United States, and accordingly, the Japanese government should take resolute action. If it fails to lodge a firm protest, it, too, will be seen to be endorsing Mr. Maher’s views. The news about Mr. Maher’s lecture was reported on the 7th. However, what is hard to understand is that there was only a minimal ripple of reaction among the politicians and officials in Tokyo’s Nagata-cho and Kasumigaseki districts. With reference to the plan to relocate Futenma Air Base, Mr. Maher said in the lecture, “Tokyo needs to tell the Governor of Okinawa, ‘if you want money, sign up to the plan!’” It reveals the view that the relocation of Futenma within the prefecture, which a large proportion of the Okinawan population opposes, would be implemented by an offer of money. It testifies to Mr. Maher’s blind eye to the fundamental shift that has occurred in Okinawan opinion on base problems. Now, Okinawan politicians detest the policy of “bases in return for compensation,” a feeling which transcends party lines. Mr. Maher’s view, however, still reflects such a policy. Mr. Maher was the consul general in Okinawa from 2006 to 2009. When there was a nonpartisan request for the revision of the U.S.-Japan Status of Forces Agreement, he declared that local politicians were “making a political issue” out of this agreement. He made numerous other comments which used to rub Okinawans the wrong way. 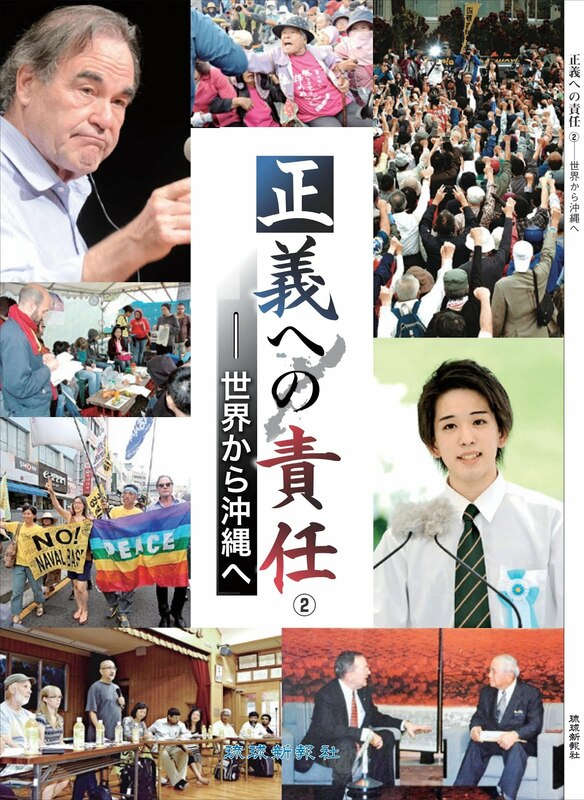 While in that post, Mr. Maher repeatedly said that frank exposition of issues, and not separation of honne (one’s true opinions) from tatemae (public stance), is necessary for the practical resolution of the Futenma issue. He also said that the basic principle for a diplomat is not to tell a lie. If that is true, his scornful remarks this time must also reflect his frank views. While he was consul general, he did not develop close relations with political and economic leaders in Okinawa, and failed to demonstrate any rapport with Governor Nakaima. He tended to establish relations only with those who accepted the relocation of Futenma within Okinawa, and paid no attention to people whose ideas were different from his own. 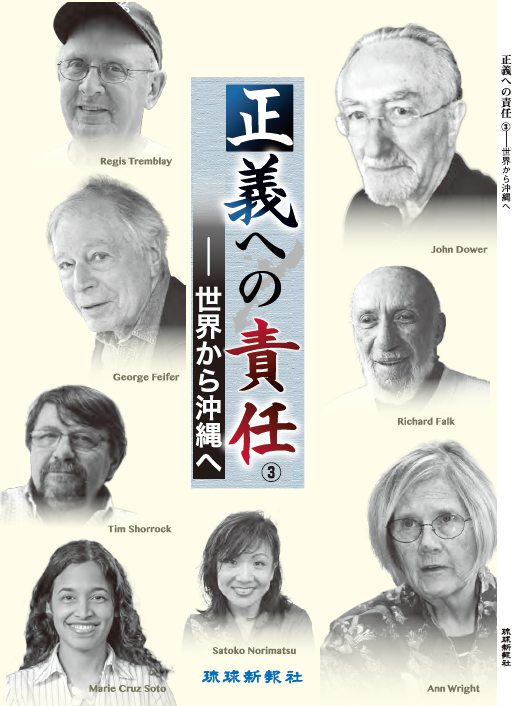 The major concern for Okinawans is that, since Mr. Maher is a recognized “Japan hand,” his distorted views on Okinawa may be influencing Washington’s stance on the negotiations over Futenma, the consequence of which might be unfavorable to Okinawa. In Washington, a view that Governor Nakaima may accept the relocation of Futenma within Okinawa in exchange for development aid is more widespread than before. However, there will be no solution to base problems unless Okinawan wishes are taken into account. It is important that the people of this prefecture take a firm stance and stand up to any proposal that is contrary to their wishes. 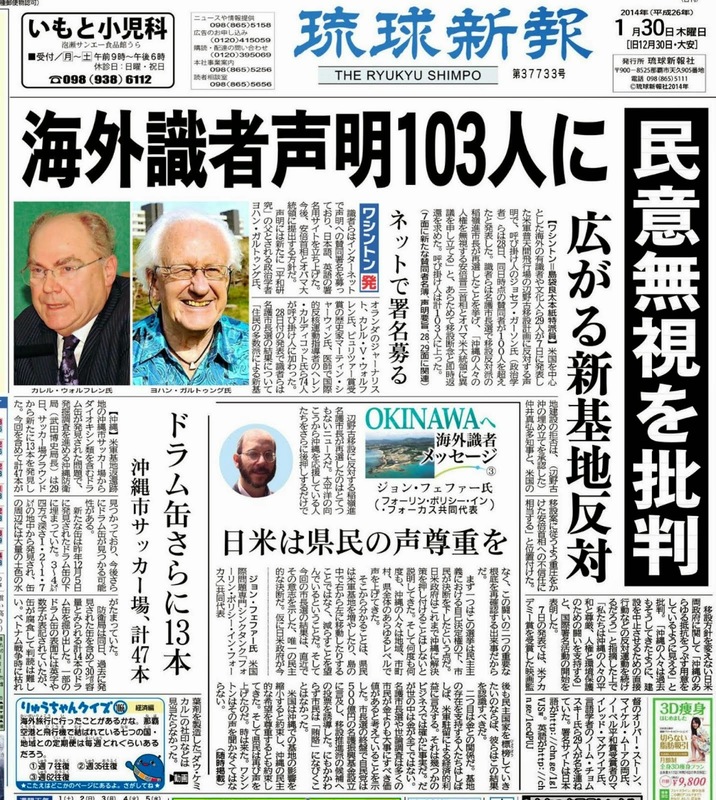 The reported disparaging of Okinawans by Kevin Maher, Director of the US Department of State’s Office of Japanese Affairs and a former consul general in Okinawa, has outraged many observers in Okinawa. They angrily accused Maher of seeing Okinawa as an American colony, and claim that there is little to distinguish his views from those of the US High Commissioners who reigned supreme in Okinawa before its reversion to Japan. The statements were made as part of a lecture to a group of university students in the US, and on the understanding that he was speaking off the record. Sato also pointed out that Maher still sees Okinawa as a US strategic colony, which indicates Okinawa is still suffering from the kind of discrimination of which it was a victim under the High Commissioners. Considering that Maher holds such an important position as Director of the Office of Japanese Affairs within the Bureau of East Asian and Pacific Affairs, Sato expressed concern that he has been extending his biased ideas that Okinawans would accept the US military bases if they were given more money or if pressure were exerted on them. The recipients of such views could be Secretary of State Hillary Clinton and Secretary of Defense Robert Gates. 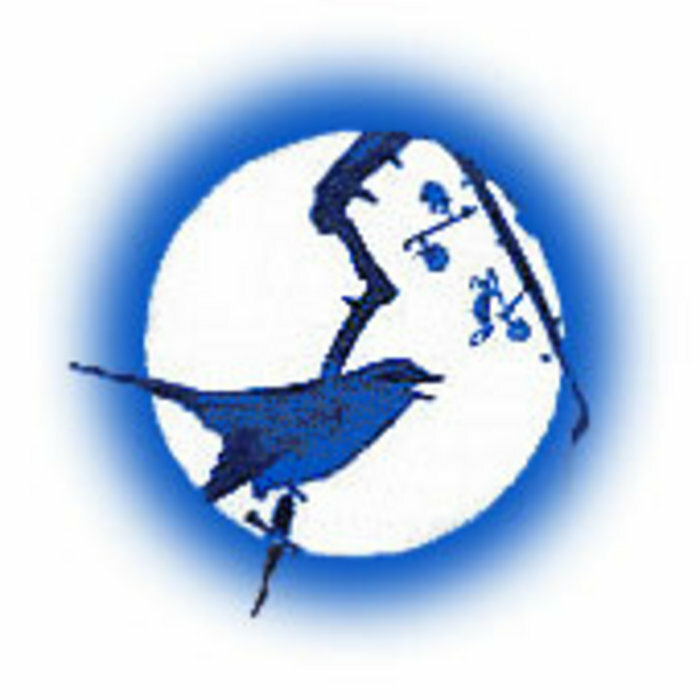 Knowing Maher has been an advocate of relocating the Futenma Marine Corps Air Station to the Henoko coastal district of Nago, KENko, a musician and resident of Ginowan City, strongly asserted that the government of Japan should take Okinawa’s side and say “NO” to the US government instead of putting the onus on Okinawa. KENko said, “Okinawa has persistently expressed its determination in rejecting the US military bases as we have seen in election results and at protest rallies”. Douglas Lummis, a political scientist and an ex-Marine, said that in view of Maher’s insults it is important that the State Department demand Maher’s resignation. It would be a well-advised move unless it wants to be seen as accepting discriminatory remarks aimed at a partner and an ally. Teruo Onishi is a member of Nago City Council in northern Okinawa and a critic opposed both to the construction of the U.S. sea-borne heliport and to the relocation of the Futenma base to Nago. Onishi offered the view that Maher deliberately passed such remarks in order to make the Kan administration bend to US policy, and added that he was trying to throw Okinawa Governor Hirokazu Nakaima off balance in order to force him to accept the relocation of the Futenma base elsewhere in the prefecture. “Maher used to pass various remarks that deprecated Okinawa while he was Consul General,” Onishi added. Kevin Maher, director of the Japanese Affairs Office at the U.S. State Department and former consul general in Okinawa, has described Okinawan people as masters of “manipulation” and “extortion” in their dealings with the Tokyo government and in relation to the Futenma issue. As an official involved in working-level consultations between Washington and Tokyo, Maher has been deeply involved in the negotiations on the U.S. Marine Corps Air Station Futenma relocation plan. He is an advocate of relocation of the air station to Cape Henoko in Nago City in the northern area of Okinawa Island, the site of the existing Camp Schwab. Once disclosed, his remarks drew immediate criticism for their discriminatory implications and because of his lack of awareness of the Okinawan and Japanese situation and of local feeling. According to reports of what he had said, based on summary notes written by students, who had attended the State Department lecture, Maher explained that Japanese culture is one of “wa”, which is based on consensus. Okinawans use that consensus culture as a means of “extortion,” and they try to get as much money as possible through a pretense of seeking consensus. As an illustrative aside, he remarked that “Okinawans are too lazy to grow their own goya (the bitter cucumber vegetable and a local specialty)”. As head of the Japan desk, he said with absolute certainty that Tokyo officials “only need to tell Hirokazu Nakaima, the governor of Okinawa Prefecture, ‘If you want money, sign here!’ ” in order to give the green light to the Futenma Air Base relocation plan. Maher made the emphatic point that Futenma posed no uniquely specific dangers since the civilian airports at Fukuoka and Osaka were similarly situated, that is also surrounded by residential areas. The students who attended the lecture have confirmed the contents of his lecture. They were all shocked at how such remarks betrayed inappropriate prejudice and racism coming, as they did, from someone of his high-ranking official position. Maher delivered his lecture on December 3 at the invitation of American University in D.C., to 14 students who had been undertaking two-week study tours of Tokyo and Okinawa. Kevin Maher's comments are striking in several ways. First, their arrogance is unusual primarily in the fact that it is rarely expressed so crudely in public: in this case, of course, it came to public attention only because the students who attended his briefing saw to it that the talk was publicized. 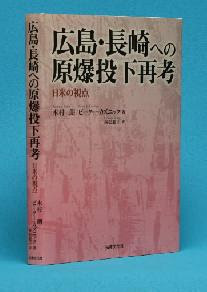 Second, and here his remarks are very much in keeping with the views of both Japanese and US officials on plans to further increase the military base burden on Okinawa by building a new base at Henoko: that is, they are content to impose the base on the Okinawan people who have shown overwhelming opposition to the new base: in successive elections, in the largest demonstrations in Okinawan history, and in sustained sit-ins at Henoko and Takae that are among the longest in human history. Third, some of his remarks are as false as they are offensive, frequently choosing to blame the victim and ignoring the acts of the assailant. For example, he is quoted as stating that "The controversial bases in Okinawa were originally in the middle of rice fields, but are now in the middle of towns because Okinawans allowed urbanization and population growth to surround United States facilities." Most of the bases were indeed carved out of fields in the late 1940s when virtually the entire Okinawan population that survived the battle was thrown into detention camps and their lands paved over to form bases, never to be returned. It is extraordinary that Maher holds Okinawans responsible for the subsequent urbanization which has created in Okinawa city one of the most dangerous and noise-polluting bases in the world. Finally, Maher comments that "There is nowhere else to base US Marines. The DPJ suggested a replacement facility in mainland Japan, but there is no place in mainland Japan for the US Military." No place else? Interesting. The United States uniquely maintains more than 1,000 military bases as its prerogative throughout the world in an empire of bases . . . excluding hundreds in the United States. I am not aware that many other countries maintain even a single base outside their own territory. What is clear of the proposed new Marine Base is that it has virtually nothing to do with protecting Okinawa or Japan. With the vast majority of the 12,000 Marines (by some counts, 18,000) fighting in Iraq and Afghanistan, Okinawa is largely a training base for fighting US wars far from Japan or Okinawa, a fact consistent with US plans to shift 8,000 Marines to Guam at Japanese expense. There have been signs in recent months that the US government, far more than the Japanese government, has begun to recognize that imposing a new base on Okinawa over the opposition of the vast majority poses huge problems that had best be avoided. 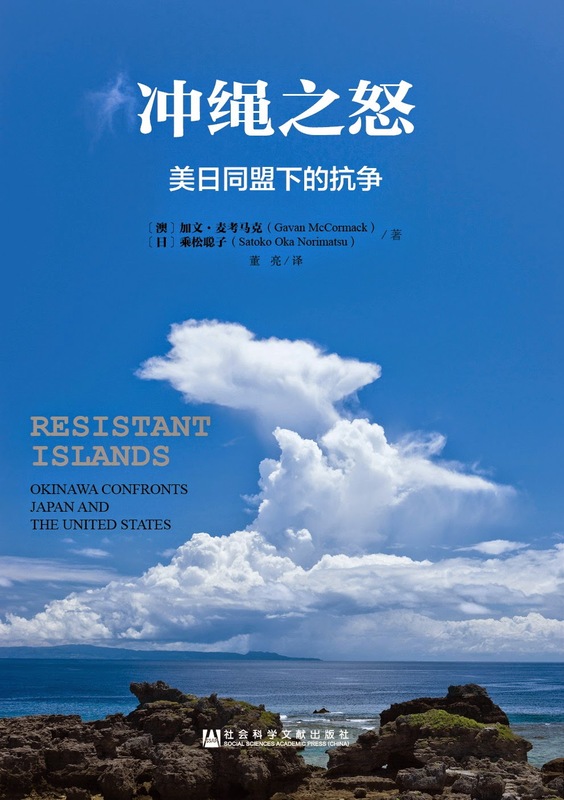 The Okinawan resistance movement has begun to make its voice heard in Washington through the court challenge to the Henoko Base filed in California on grounds of environmental disruption; through its voice expressed at the polls and in demonstrations. As construction begins on the Takae Helipads, and as preparations continue for Henoko construction, the movement will have to find means to strengthen both its political resistance and its ability to publicize that resistance internationally. 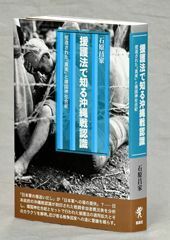 Our Asia-Pacific Journal http://japanfocus.org/ has attempted to provide one vehicle for giving voice to the Okinawan resistance. Mark Selden is Coordinator of The Asia-Pacific Journal: Japan Focus, and Senior Research Associate of the East Asia Program, Cornell University. On December 3, 2010, Kevin Maher, Director of the Office of Japan Affairs and former U.S. Consul-General of Okinawa gave a lecture to the fourteen students of American University (Washington, DC) who were going to visit Okinawa to learn about the issues surrounding US military bases there. 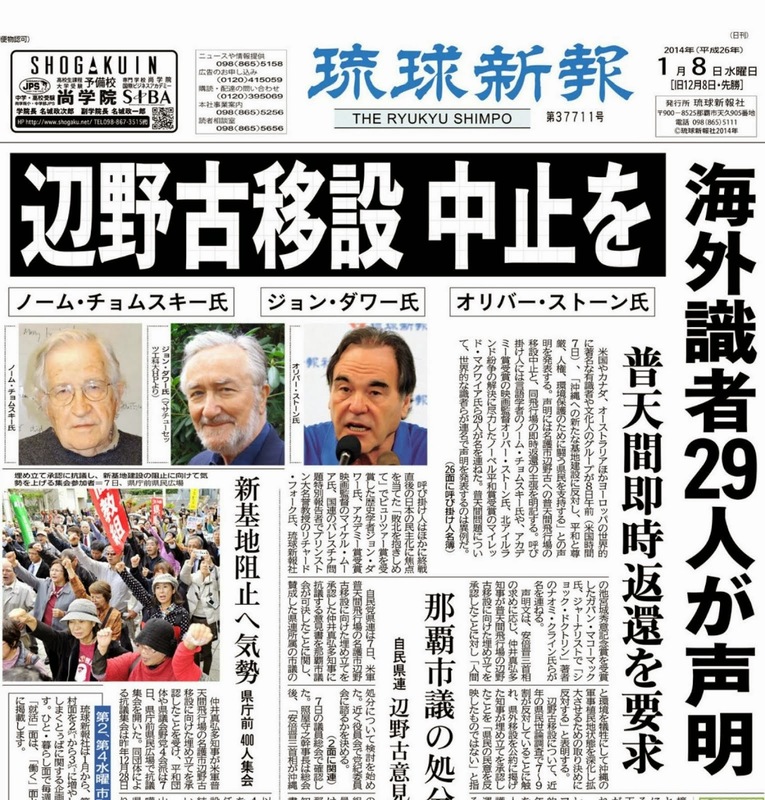 Kyodo News Agency, Okinawan newspapers Ryukyu Shimpo and Okinawa Taimusu, and other media reported it on March 7, 2011, and anger quickly spread through Okinawa over Maher's numerous derogatory remarks about Okinawa and its people. The March 8 edition of Ryukyu Shimpo ran almost five full pages of special reports, analyses, an editorial that calls for dismissal of Maher, a response from US Embassy in Tokyo saying Maher's views did not represent the US government at all, and critical comments from former Governor of Okinawa Ota Masahide, citizens, politicians and scholars in Okinawa and Japan. Ota says Maher is one who "endorsed the Henoko plan, so we should use this opportunity to crush the plan." Here is the original text of Maher's lecture, based on the notes that the AU students took then. Note: PeacePhilosopher added corrections to factual errors in the lecture in red, italic and bolded letters. See the PDF version without annotation HERE. 14 Members of Alternative Break Trip to Okinawa, Japan, Winter Break 2010, "U.S. Military Bases and Their Impacts in Okinawa, Japan"
The US bases in Okinawa exist for regional security. The Japanese obligation under the US-Japan security treaty is to provide land for bases. The relationship between Japan and the US under the security treaty is asymmetric and benefits the Japanese to the detriment of the US. (This is contradictory to Maher's last statement, "The high host nation support the Japanese government currently pays is beneficial to the US.We’ve got a very good deal in Japan.") Japan is not obligated to defend the United States if US forces are attacked, but the United States must defend and protect Japan’s people and property. Eighteen thousand (18,000) US Marines and an air wing are stationed in Okinawa. (The number in 2007 was 13,200 according to Okinawa Prefecture. The number of Marines in Okinawa at any given time is a lot lower, with many of them in Iraq/Afghanistan and training elsewhere in Asia.) The United States needs bases in Okinawa for two reasons: bases are already there and Okinawa is an important geographical location. (While showing a map of East Asia) US Forces Japan is headquartered in Tokyo and is the location of a logistics hub that would coordinate supplies and troops in the event of a crisis. Misawa, an important base in the Cold War, is the closest U.S. base to Russia and the base at Iwakuni is only 30 min from Korea, yet Okinawa’s geographic location is important to regional security. Okinawa was an independent Kingdom paying tribute to China, although it has never been a part of China. The U.S. occupied Okinawa until 1972. The Okinawan people’s anger and frustration is directed at Japan rather than the United States.The DPJ government does not understand Okinawa. 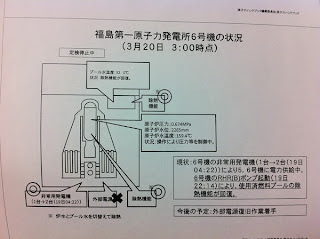 The Japanese government does not have a “pipe” of communication to Okinawa. When I offer to contact people in Okinawa DPJ officials say “Yes! 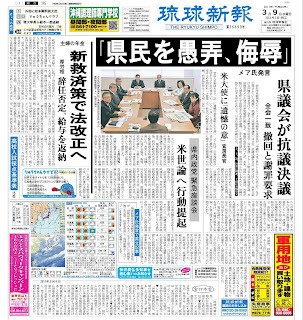 Yes, please!” The LDP communicated with Okinawa and understood Okinawan concerns better than the current DPJ government. One third of people believe the world would be more peaceful without a military. It is impossible to talk with such people. The 2009 election brought the DPJ to power, which was the first change in the government of Japan.Hatoyama was a leftist politician. Despite the DPJ and PM Hatoyama, the US and Japan managed to issue the 2+2 statement in May. The US will relocate 8000 Marines from Futenma to Guam in order to reduce the US Military footprint on Okinawa. The plan will allow the US to maintain a military presence in the region to provide regional security and deterrence capability. There is nowhere else to base US Marines. The DPJ suggested a replacement facility in mainland Japan, but there is no place in mainland Japan for the US Military. Japanese culture is a culture of "Wa" (harmony) that is based on consensus. Consensus building is important in Japanese culture. While the Japanese would call this “consensus,” they mean “extortion” and use this culture of consensus as a means of “extortion.” By pretending to seek consensus, people try to get as much money as possible. Okinawans are masters of “manipulation” and “extortion” of Tokyo. Okinawa's main industry is tourism. While there is an agricultural industry, the main industry is tourism. Although Okinawans grow goya, other prefectures grow more than Okinawa. Okinawans are too lazy to grow goya (Okinawa is the number one producer of goya, or bitter melon, in Japan, with a share of 33%, followed by Miyazaki's 17% and Kagoshima's 14%). Okinawa has the highest divorce rate, birthrate (especially out of wedlock) and drunk-driving rate due to Okinawa’s culture of drinking liquor with high alcohol content. You should be careful about “tatemae and honne” while in Japan. Tatemae and honne is the “idea that words and actual intentions are different." While in Okinawa, I said MCAS Futenma “is not especially dangerous." My statements caused Okinawans to protest in front of my office. Although Okianwans claim MCAS Futenma is the most dangerous base in the world,they know it is not true. Fukuoka Airport and Osaka Itami Airport are just as dangerous (Fukuoka and Itami airports are NOT US military bases). Japanese politicians do tatemae and honne all the time. Okinawan politicians will agree to a negotiation in Tokyo but return to Okinawa and claim they did not. The US Ambassador and other representatives to Japan are constantly criticized for speaking the truth because the Japanese culture is too focused on tatemae and honne. The US Military and JSDF have different mentalities. The US Military trains to prepare for possible deployment, but the JSDF train without actually preparing for deployment. Local people oppose to night training by the US Military but it is necessary because modern warfare is often fought at night. Night training is essential to maintain deterrence capability. I don’t think Article Nine of the Japanese Constitution should change. I doubt it will ever be changed. It would be bad for the United States if the Japanese Constitution was changed because Japan would not need the United States’ Military. (The US military bases are justified under Anpo, or the Japan-US Security Treaty, NOT Article 9 of the Japanese Constitution. 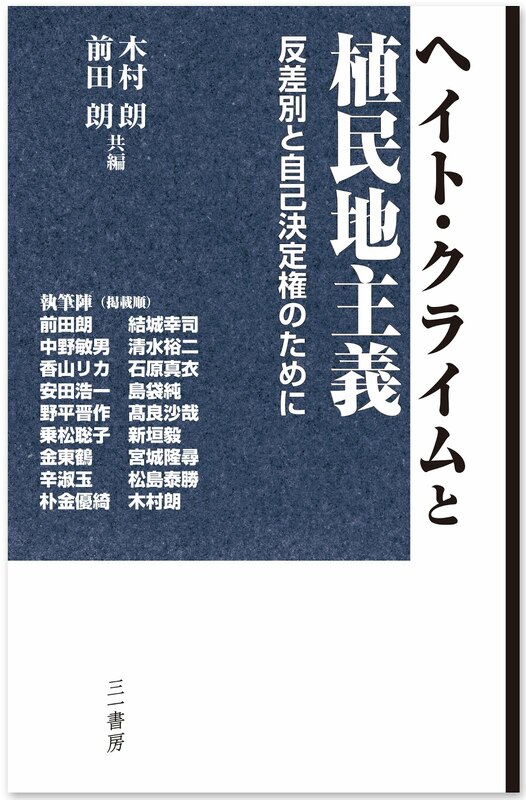 The Japanese Constitution does NOT stipulate anything on US military presence in Japan.) If the Japanese Constitution was changed the United States would not be able to use Japanese land to advance US interests. The high host nation support the Japanese government currently pays is beneficial to the US.We’ve got a very good deal in Japan. A U.S. official in charge of Japanese affairs at the State Department is said to have likened the Japanese cultural principle of maintaining social harmony to "extortion" and described Okinawans as "lazy" during a speech in Washington late last year. 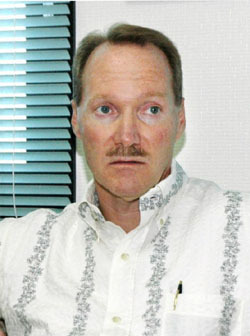 According to a written account compiled by students who attended the lecture at the State Department, Kevin Maher, head of the Japanese affairs office and a former consul general in Okinawa Prefecture, described Okinawan people as "masters of manipulation and extortion" when dealing with the central government. "I am not in a position to comment on the record at this time," Maher said, noting his briefing was an off-the-record event. He said the account made available to Kyodo News is "neither accurate nor complete." Maher has been involved in the bilateral negotiations on relocating the U.S. Marine Corps Air Station Futenma and is known to be an advocate of relocating it elsewhere in the prefecture, an idea detested by local residents. The remarks attributed to Maher are making waves. They are "racially discriminating against Okinawa," said Teruo Hiyane, a scholar on postwar Okinawan history. 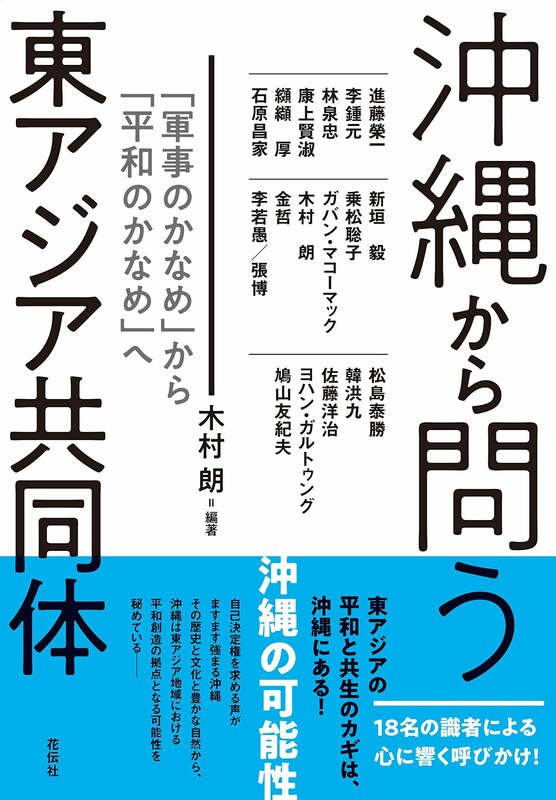 Ukeru Magosaki, a former diplomat, said Maher's reported view on Japan is "biased and completely distorted." Maher gave the speech Dec. 3 at the request of American University to a group of 14 students who were about to embark on a roughly two-week study tour of Tokyo and Okinawa. In the speech, Maher was quoted as saying, "Consensus building is important in Japanese culture. While the Japanese would call this 'consensus,' they mean 'extortion' and use this culture of consensus as a means of extortion. Maher also criticized the people of Okinawa as "too lazy to grow 'goya' (bitter gourd)," a traditional summer vegetable in the prefecture, according to the account. On the base, which is situated in a crowded residential area of Ginowan, Maher allegedly said that while Okinawans claim the base is the most dangerous in the world, they know it's not true. The civilian airports in Fukuoka and Osaka are "just as dangerous," he reportedly said. Maher was quoted as saying that the Japanese government "needs to tell the Okinawan governor, 'If you want money, sign it," referring to the Futenma relocation plan. Students who took notes during Maher's speech said he definitely made the remarks, and at least one said it was surprising to hear statements full of bias coming from a person in the U.S. government. The air base affair in Okinawa has been dragging on for well over a decade. Maher, 56, served as the consul general in Okinawa from 2006 to 2009 after joining the State Department in 1981 and being posted to Tokyo and Fukuoka. 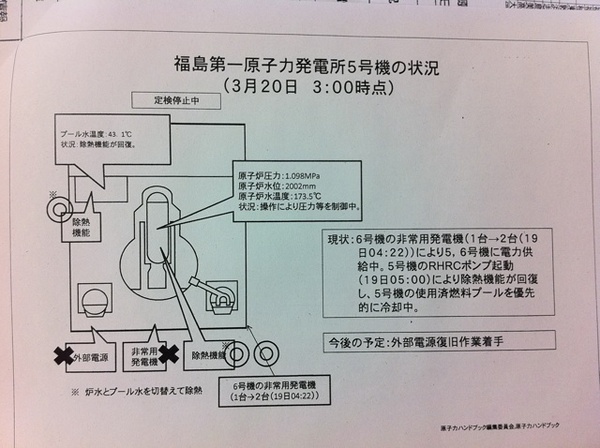 Maher said of the account provided to Kyodo that he "cannot control how individual students themselves might interpret remarks" and "it would therefore not be appropriate" to attribute any specific remarks to him "based upon secondhand information coming from students or others." In the summer of 2008, while he was posted in Okinawa, Maher sparked controversy after questioning why the local authorities were allowing the construction of homes in the residential area around the Futenma air base. Plaintiffs seeking damages over noise from the U.S. base then presented him with a written demand calling on him to immediately leave Okinawa. Former Consul General Kevin Maher, who is in charge of Japanese affairs at the U.S. State Department, talked about his experience of negotiating with Japan over the relocation of the U.S. Marine Corps’ Futenma Air Station to Nago, another location in the prefecture, which is stiffly opposed by Okinawa citizens. Maher spoke on Dec 3 at the request of American University to a group of 14 students just before their roughly two-week study tour to Tokyo and Okinawa. ‘‘By pretending to seek consensus, people try to get as much money as possible,’’ he said. Maher also criticized people in Okinawa as ‘‘too lazy to grow ‘goya’ (bitter gourd),’’ which is a traditional summer vegetable in the southern prefecture, according to the account. On the Futenma base, located in a crowded residential area of Ginowan, Maher allegedly said while Okinawans claim the base is the most dangerous in the world, they know that is it not true. Civilian airports in Fukuoka and Osaka are ‘‘just as dangerous,’’ he reportedly said. Maher was quoted as saying that the Japanese government ‘‘needs to tell the Okinawan governor, ‘if you want money, sign it,’’ in reference to the Futenma relocation plan. Students who produced notes of Maher’s speech said he definitely made the remarks, with at least one saying it was surprising to hear statements full of bias from a person with a position in the U.S. government. Maher, 56, served as consul general, the top U.S. envoy, in Okinawa from 2006 and 2009 after joining the State Department in 1981 and being posted to Tokyo and Fukuoka. In the summer of 2008, while he was posted in Okinawa, Maher sparked controversy after questioning why the local authorities were allowing the construction of homes in the residential area around the Futenma base. Plaintiffs seeking damages over noise from the U.S. base presented him with a written demand calling on him to immediately leave Okinawa. ‘‘By pretending to seek consensus, people try to get as much money as possible,’’ he was quoted as saying. He also described people in Okinawa as ‘‘masters of manipulation and extortion’’ in their relations with the central government, according to the account. In Tokyo, top government spokesman Yukio Edano told a news conference, ‘‘I do not think it is necessary to verify every remark (made by a U.S. official) based solely on news reports,’’ noting that their two countries regularly discuss and share mutual understanding on a wide range of bilateral issues. Edano made his remark when asked if the government would make inquiries with the United States about the matter. The U.S. government is aware of the base-hosting burdens in Japan’s Okinawa Prefecture and respects the local people, a U.S. official said Monday, following recent reports that said a State Department official is said to have made remarks disparaging the people. ‘‘We recognize the burden that the people of Okinawa bear in terms of our bases. We deeply appreciate that,’’ a State Department official told reporters on condition of anonymity. ‘‘We have a great deal of respect for Okinawa and its people,’’ the official added. His remarks came after Kevin Maher, who heads the Japanese affairs office at the State Department, is said to have made offensive remarks about Japanese culture and people in Okinawa in a lecture to students in Washington late last year. He also said Washington will continue to work with Tokyo on the relocation of a key U.S. Marine base in the southern island prefecture. Maher likened the Japanese cultural preference for maintaining social harmony to ‘‘extortion’’ and described the people on the southern island of Okinawa as ‘‘lazy,’’ according to a written account compiled by some students who attended the lecture.